Come spend an afternoon with an incredible man of change. 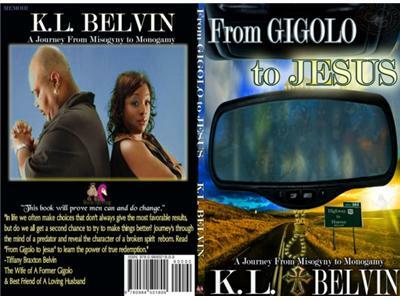 K. L. Belvin will be on today to share his incredible testimony going from Gigolo to Man of God. How he and his wife overcame so much to stand together in the name of the Lord. He we speaking on his new book "From Gigolo to Jesus" and his poetry book "A Man In Transition". He will also discuss the business which is reaching new heights daily, Bravin Publishing. A publishing company which produces titles the whole family can enjoy. Can learn what a career educator has to say on today's dilemmas facing high school student. K. L. is the Dean of Students in a Brooklyn High school in the inner city.. Tune in and learn.